Light is one of the most fundamental forces of life. It provides energy and facilitates the metabolic processes essential to life. The lasers are the latest and the most advanced light sources. They generate artificial light and amplify it into focused intense beams of light. Laser technology plays a growing role in many aspects of modern life, including medicine and aesthetics. Non-invasive low level laser therapy - cold laser therapy or soft laser therapy - has a bright future! When laser light is absorbed by a living tissue, it triggers biological reactions in the cells. Chemical substances are produced, released and carried by blood and lymphatic flow to other parts of the system. Hence, the effects of cold laser light may not be only local, but can also achieve wide systemic effects. The main and the most important effect of laser light on cells is the accelerated production of the ATP (Adenosine TriPhosphate). ATP molecules are found in the cells of allliving things. In animal and human systems, Adenosine TriPhosphate is synthesised in small cellular organelles called mitochondria. In the mitochondria, theprimary cellular energy source - the ATP - is produced by combining oxygen with sugar derived from food. nergy generated from the breakdown of the foodstuffs and transporting it across cellular membranes for conversion into 'fuel' that is required for normal body functioning. Adenosine TriPhosphate is often referred to as the 'energy currency of life'. Multi-Functional Laser Acupuncture &Beauty Healthcare Device (JB-B3) consists of body, including laser device, vibrating motor, lithium battery and control circuit, lithium charger, and three different massage heads, including multi-head head, seven-point head, and laser acupuncture head. Turn on the switch of vibrating massage and the set can be used for vibration-based massage. If the switch is turned off, press a little bit harder the set; it will also vibrate to do the massage. 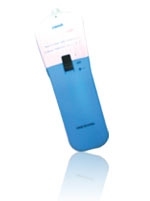 Multi-function Laser Acupuncture & Beauty Healthcare Device (JB-B3) has three different modes, i.e. off, continual, and pulse, for its laser, which is controlled by laser switch. The laser operation light is turned on under work modes of “continual wave” or “pulse wave”. o the charge socket, and connect the charger to 220V power for three to four hours. The product can be used for 10 hours after every recharge. (If used 20 minutes per day, it can be used for 1 month). • The scientists has been researched and proved: Laser beam has stimulating effects on acupuncture points. • Laser irradiation can improve human immunity, and can be used to adjust the imbalanced immunity network and improve physical strength. The working mechanisms of laser acupuncture and traditional acupuncture are of the same. Experiments made on human and animal prove that they work through autonomic nerve system, media, and blood reaction system. It proves as well that it has certain effects on improving circulation, digestion, and endocrine system. For example, irradiation of laser needle on points related to cellular blood vessel, such as Baihe, Yintang, Hegu, Zusanli, Taichong, and etc., will improve the cellular blood circulation. The experiments prove that irradiation on gallbladder point will cause changes of gallbladder shrinkage function. 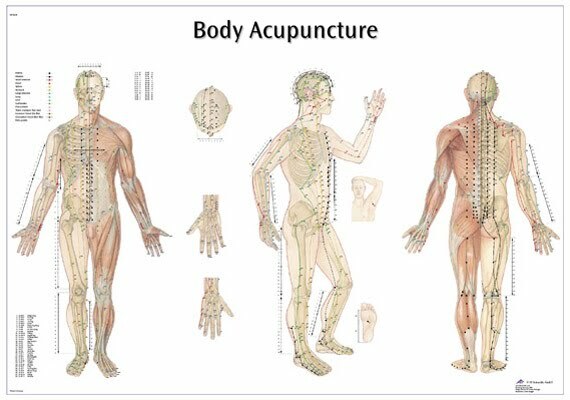 Laser irradiation on acupuncture points will be able to adjust endocrine functions. The set uses low-power and low-density laser (weak laser) to irradiate on acupuncture points. This is the unique treatment of our country as it is based on theories of traditional Chinese medicine. • Promotes blood circulation of vertebral arteries, relieve the pain due to boned hyperplasia. Duration of the procedure: 30 minutes for bad health, 15 minutes if one has medium injury to health. Warm the device for 2-3 minutes. Turn off the remote control. Wipe the neck with wet napkin. Slowly lie down on the device (neck on it), put the device’s legs close to shoulders, head back as much as possible ensuring tight contact with black plates. Relax. Turn on the remote control. You’ll see “00” on display. Set the time. Each push adds 15 minutes. From the right side of the remote control there are force adjustment buttons. From the left side of the remote control there are treatment mode buttons (16 modes). You choose the mode depending on your feelings (maximum which you can handle). The temperature is chosen with special button. When the therapy is over turn off the power while you lie down. IT IS PROHIBITED TO stand up when the power is on. You can stand up only after the signal. However you should stay down on the device within 2-3 minutes upon the therapy. IF YOU USE ADDITIONAL PLATES you should switch to the joints treatment mode. Don’t approximate the plates for more than 2mm to each other. 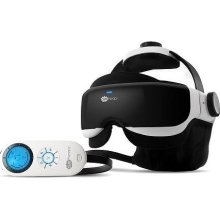 "Balances your physical biological electricity and helps to restore health"
This apparatus is especially designed for people facing problem of high blood pressure and hypertensive headache. It is based on theories of bio-medical engineering. Biological electric potential is proportional to blood pressure. Irregularity of biological electric potential can cause hypertension. Originally designed to control high blood pressure by stimulating acupucture points on the scalp, this apparatus is now found by some to have a reverse effect with seborrheic alopecia (balding). Hypotension apparatus is especially designed for people facing problem of high blood pressure (hypertension) and hypertensive headache. It is based on theories of bio-medical engineering. The theory of biologically closed electric circuits was first proposed by Dr. Bjorn E.W. Nordenstrom, MD, Professor Emeritus of Radiology Karolinska Institute, Sweden ("Biologically Closed Electric Circuits", Bjorn, E.W. Nordenstrom, 1983, Nordic Medical Publications). It is believed that the energy exchange in tissue and organ metabolism, the material transportation between blood vessel and cell is accomplished not only through blood circulation but also through biologically closed electric circuits (BCEC). The bioelectric methods based on Dr. Nordenstrom's theory are even used for various disorders at St. George Hospital in , Germany and China-Japan Friendship Hospital in Beijing, China. During the similar period of time, a research group discovered the abnormal electric potential among high blood pressure patients. Combining the acupuncture theory of traditional Chinese medicine, hypotension apparatus can reduce blood pressure. Hypotension apparatus controls blood pressure through balancing biological electricity. It does not apply drug or magnetic force to body. It has no toxic or side effect. Biological electric potential is proportional to blood pressure. Irregularity of biological electric potential will cause hypertension. Once body’s biological electricity gets balanced and blood pressure normalized, hypotension apparatus automatically stop working. Not only Hypotension apparatus can reduce the high blood pressure, it also adjusts the systolic and diastolic pressure difference. It won't cause an over low blood pressure. This instrument reduces blood pressure in an undulate way. It is the result of a self-adjustment process and is good for health. It takes some time for the adjustment of bioelectric field of whole body so some fluctuations at the beginning of usage are normal. Continued usage will gradually reduce the blood pressure. A sudden completely decrease of blood pressure is not what your body want. The apparatus is very convenient to use. Although it is best to use at recommend frequency, it is not so strictly required compared with other hypertension control methods. It is strongly encouraged to use this apparatus 3-5 times a day for 4-8 weeks according to the following instruction. There are four ways to use hypotension apparatus. In all cases, wash hands to enhance the electric conductivity before using the device. Keep calm and relaxed during the usage. This is how most of the people use this apparatus to see the best results although you may want to try the other three methods too. Hold the hand-grasp metal ring at the back of the device with one hand, and apply the three groups of metal prong tightly on the forehead of the user with proper pressure, and comb in the middle upwards at the even speed of 1 - 2 times per minute and down the back of head. One usage takes 3 - 5 minutes. Hold the device at the hand-grasp metal ring with one hand and apply the three groups of terminal metal pins against the wrist of the other hand with proper pressure and hold for 3 to 5 minutes. There is an acupuncture point (Neiguan/ Inner Gate/P6) at that part of wrist about 2 cm from the wrist crease. Hold the device at the hand-grasp metal ring and apply steadily the three groups of terminal metal pins against your chest where heart is located with proper pressure for 3 to 5 minutes. This way is suitable to patients of angina and coronary heart disease. Hold the device with one hand at the hand-grasp metal ring, stretch out the fingers of the other hand naturally, press the three groups of terminal metal prongs against the finger tips (palm side) steadily for 3 to 5 minutes. It takes a few minutes to adjust the bio electricity balance each time after treatment. So sit calmly and relaxed for 5 minutes before measuring your blood pressure.